With the opening of Friendship Bridge No. 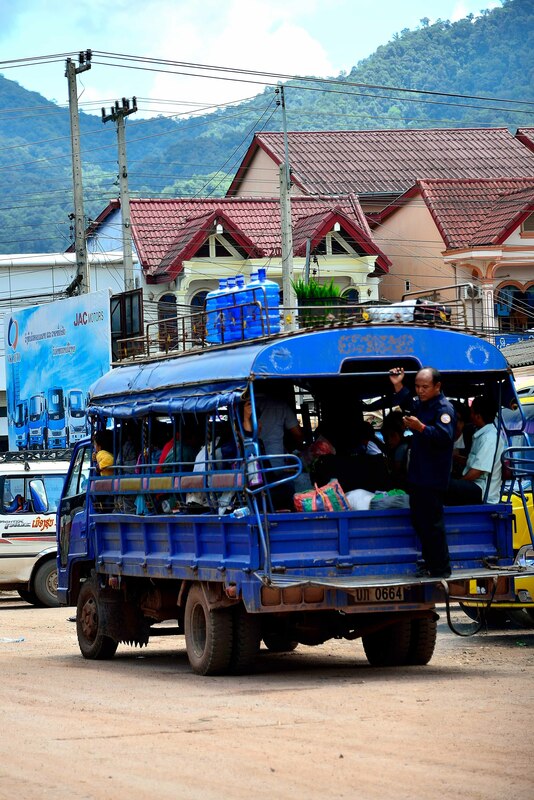 5 in December 2013, the border crossing from Chiang Rai to Luang Namtha via Houay Xay (Laos) changed. The crossing is now straight-forward, easy, and not as convoluted as still published in outdated guide books. After a fabulous three months in Thailand also doing Volunteering in Khao Lak and Mae Sot, with a one-month break in Myanmar (Burma), I’m sad to finally leave Thailand. I’ve included a map of our travels for you, if you’re thinking of spending some time in this beautiful country. 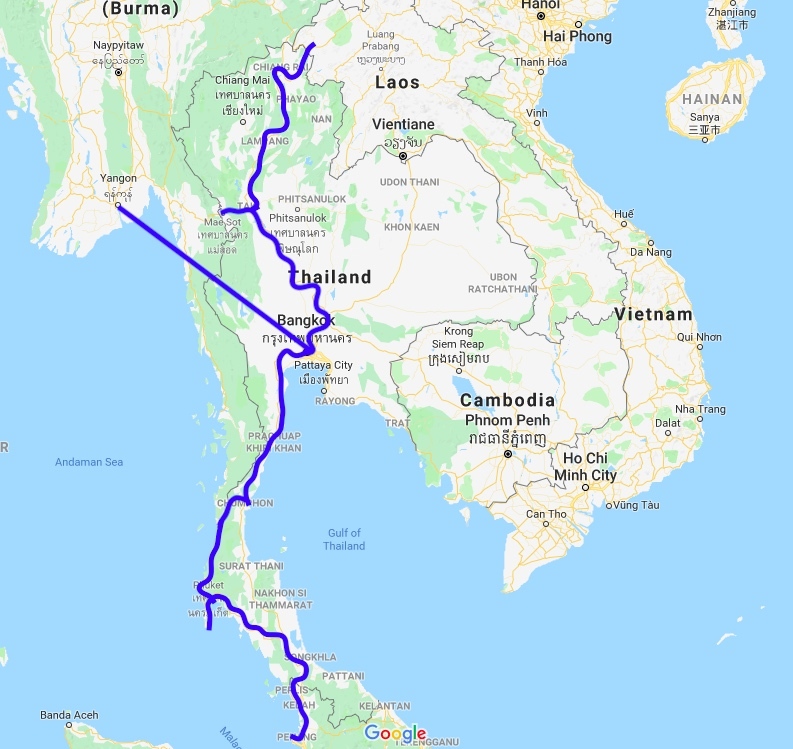 Most guide books state that travel from Chiang Rai to Laos is long and difficult involving a bus, Tuk Tuk, boat, another Tuk Tuk, and more, which is wrong. 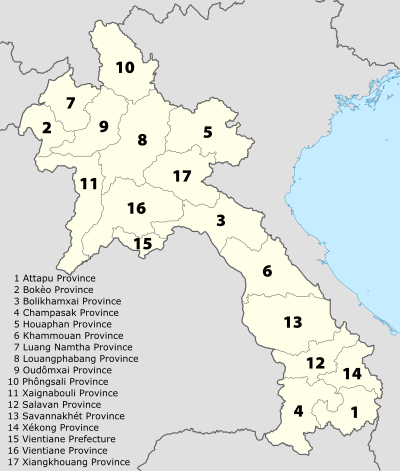 From Chiang Rai, you travel on the same day through Number 2, Bokeo Province and onto Number 7, Luang Namtha Province. It’s slack and sloppy that guide books don’t do their homework before publishing, but still charge you for old information. Tip: Wikitravel seems to be much more up-to-date with transport schedules. You can only buy a ticket on the actual day of travel from the International bus station (Chang Rai No. 2 Bus Station – new station three kms out-of-town. A Songthaew costs 20B). Comfy buses bound for Laos leave Chiang Rai at 10:00 hrs and 14:00 hrs and wait at the border on the Thai side until everyone is stamped out of Thailand. The bus then drives across the bridge to the Laos side and waits there until you finish checking into Laos; and then drives a little way to the Houay Xay International Bus Station. Visa on arrival in Laos is USD$30 for one month. Note: You cannot walk or cycle over Friendship Bridge No. 5 – only drive or on a scooter. The trip takes around 2.5 hours in which time you arrive at Houay Xay’s bus station at 12:30hrs and find the 12:00hrs local bus has already gone, but that’s a recurring story in Laos. Although timetables are displayed on the ticket window as leaving at 12:30 hrs, the bus left a half-hour early. The ticket vendor advised times are “reset” and after some laughter, this becomes the slogan in Laos for the rest of the two months – it isn’t the last time for a reset! If you’re desperate for a place to stay on arrival to Houay Xay, there is a guest house across from the terminal, otherwise, there’s not much else around the station. Or, do as we did, wait the four hours for the next local bus (30,000K) at 17;00 hrs, which takes four hours to Luang Namtha. Minibuses go at an incredibly inflated price if you have the surplus cash and are impatient, or can’t wait four hours. Be warned, drivers do not budge on price as they know they’ve got you. During the trip, you travel through some absolutely spectacular scenery but shame it is late in the day, so only glimpsed a small window of what is to come whilst travelling in Laos. If you suffer from travel sickness, take some meds beforehand as the roads are very winding. At least the locals travel well on this trip, without too much throwing up on the bus at all. This is the first introduction to gorgeous Luang Namtha (Namtha) province in Laos, as I never had the chance when visiting Laos in 1989. 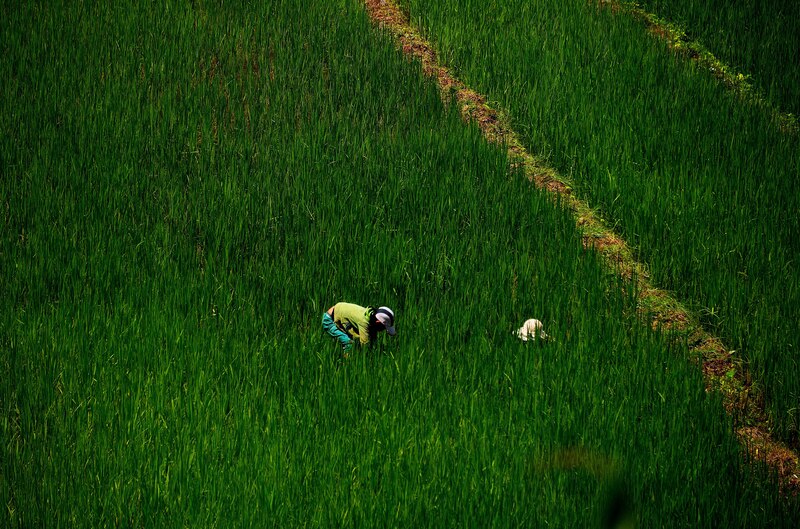 Surrounding vistas boast fluorescent green rice fields back-dropped against spectacular blue-green serene mountains in a leisurely-paced town, which is contagious. The main street is overflowing with restaurants, bicycle and scooter rentals, and tourist agencies offering the trekking experience of a lifetime. Shop around for the best price, which at the time of writing, is through Zuela’s Guest House. This office is an experience. Although the front door is open, the office is closed. Advertised opening hours state the office should be open, so, we enter. Once inside, a stairwell ascends to the next floor. I hears voices and wanting to know when we could visit the office, I take the stairs, which lead straight into a conference room full of twenty uniformed and slightly annoyed men. It is almost like they had never seen a ‘Falang’ (foreigner) female before. Surprised, as I was, to see me, one guy that speaks minimal English came out, takes me back down the stairwell, and tells me to wait. Finally, the tourist info lady waltzes in with child on hip and soon the room becomes a crèche, full of toys and a loud screaming baby. The lady speaks minimal English, is not willing to help at all as busy with child, so I grab a couple of brochures and leave. Apart from known as a stopover point on the backpacker trail from China or Thailand to Laos, this spectacular region is fast becoming a hot spot for hill tribe trekking and tourism – see it before it’s inundated. It is the wet season and already quite busy for a small pleasant town. Tour companies in Namtha offer a myriad of trekking experiences (one to three days, or more) at varying prices. Shop around and bargain hard. My preference always is to go with locally owned companies, not western-owned, and a company that isn’t afraid of displaying its breakdown of where your money is going. Typically, with these companies, most of if not all of the money, stays in the country and filters back to the locals. I’ve also found that if a company includes “eco” in the name or offers “eco” tours, the price is always much higher – interesting. Has anyone else found this clever advertising? Green Discovery seems to have everything sewn up in Laos, which for me, is a good enough reason not to go with this company, not to mention the price seems to always be much higher than other companies. With the wet season brings torrential rain most days. 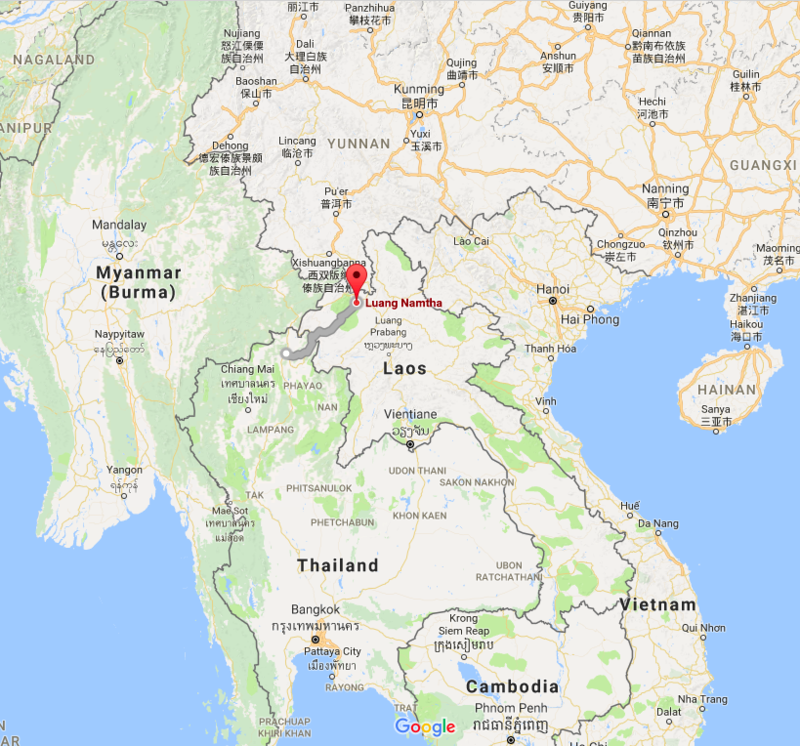 So, deciding to only do a two-day, one-night trek to the Lahu hill tribe Village, this is one of the less frequented routes by foreigners – I am told. Zuela Guesthouse and Restaurant – is on the main Street, across from the Night Market. Lovely timber room, serviced daily (including bottled water) – room includes a good “Standard” (option in menu) breakfast. Wi-fi is a bit sporadic in the room but okay in the restaurant and outside. Laundry is offered at 10,000 K/kg. As our room is directly next to the restaurant and kitchen, the noise starts at around 05:30 hrs and continues throughout the day, until night time. The cooking and garlic fumes are so pungent in our room and bathroom that I feel as if I’m continually bathing in garlic, chilies, and other food aromas. Don’t get me wrong, I love the smell of food cooking, but not in bed or with me in the shower! Another thing that really annoys me is that the guesthouse and restaurant allow the women touts selling their bracelets into the restaurant and guest house grounds. There are seven women that work the streets in a group and are relentless. You will be badgered whilst you eat, talk, work on your laptop, try to rest, and also if you sit outside on your porch, especially as our room is next to the restaurant. The women get a little nasty and annoyed if you don’t buy something, and be warned, they arrive at 07:00 hrs and continue in and out of the guest house until 21:00 hrs. We experienced this during the whole four days of staying at Zuela. It’s more than enough to get the continual badgering on the street, let alone at the guest house and its restaurant. Other restaurants in Namtha don’t allow touts. This forces the touts to pace up and down the street until you leave the restaurant, then they pounce. These ladies also avidly work the night market. Remember, these women are professionals and work for a “boss”, as we saw the transactions in the night market. In addition to cheap local food at the markets, as always, they’re great for people watching and photos. Most restaurants in Namtha serve similar menus offering Lao, Thai, and various western dishes at similar prices. Average compared to other night markets in SE Asia, especially my favourite in Brinchang (Malaysia). Ate here a couple of nights and some stalls offer better quality than others. You can try exotic foods such as BBQ frogs legs, fried insects, many different types of local fruits, salads, vegetables, wasp larvae, and other unusual selections. It is cheap and basic. 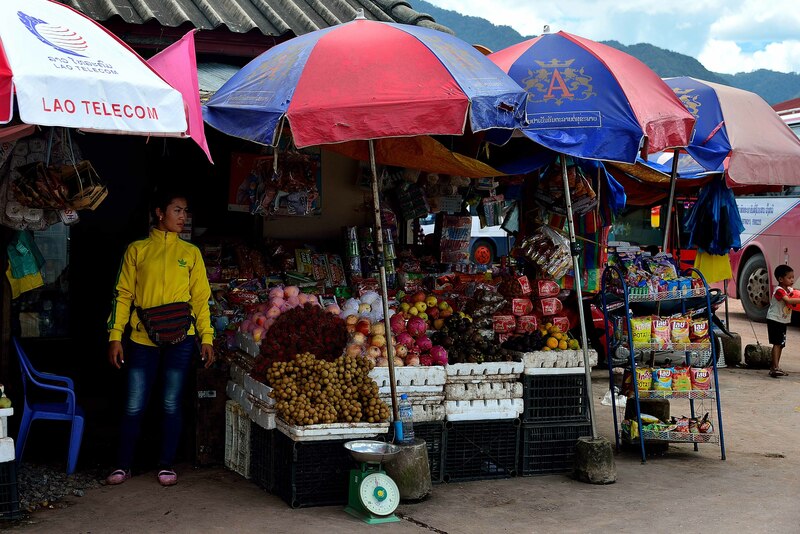 Remember, much of the food at this market comes directly from Namtha’s enormous surrounding jungled mountains. Apart from the usual fresh produce such as freshly slaughtered meat each morning and vegetables, many jungle delicacies such as crispy Rhino Beetles, grubs in cocoons, and more also grace the menu. Prices are cheap. The Zuela serves good food but average service. The baguettes, ‘Standard’ set breakfast, and noodles are delicious. Prices are a little higher than the bakery next door to Zuela (think the name is Happy), which serves very good homemade traditional food. For an average cappuccino although the coffee is freshly ground, check out the Forest Retreat. After 5+ months travelling through SE Asia and on another traveller’s recommendation, we came here to indulge in a wood-fired pizza. But alas, as the cost is too pricey for a pizza, we order coffee instead. A great reason to stop here is that this place provides a school for young Lao women to learn food hygiene, English, standard western food preparation, and hospitality service. 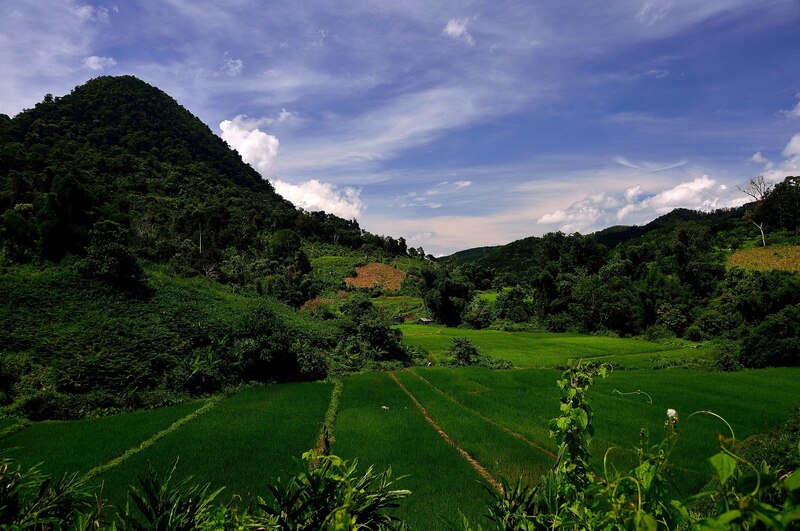 As this is one of the most northern towns in Laos, we decide to make our way south slowly and head for the less frequented Nong Khiaw, whilst enjoying the country’s wonderful scenery. I am always so impressed with your travel posts, Nilla.